Connect with your followers in thoughtful and considerate ways! Just like in any formal situation, social media is about connecting with people and not offending them in the process. It may seem simple and straightforward but when you miss the mark, it shows! GIF credit. This may seem obvious but unfortunately it is quite common for business owners to use one account for personal and professional connections. Build a business profile to access advanced features like page analytics, customer reviews and much more. We have all had an overzealous friend who sends multiple ads and bombards our news feeds with promotions – don’t be that friend! Think of your online presence as a conversation with your customers. If you are always promoting yourself, the conversation is one sided. In fact, only about 20% of your social media strategy should involve the direct promotion of your business. The majority of the content should be useful (and shareable!) information based on what your customers are looking for. Creating an ongoing relationship with consumers will yield a better response when you do promote your business. No one likes to see themselves in an unflattering photo posted without their permission. Private message anyone whose story or content you would like to use and gain their permission. Ask permission before adding someone to a group. It is inconsiderate if you do not ask first and you may find people will disconnect from you and possibly unfriended. If you are watching someone’s live video or participating in a group call and you want to give the person constructive feedback on their presenting skills, ask them if you have permission to do so in a private message. If you want to do a re-post of someone’s photo on Instagram you need to have permission beforehand. Similarly, cite all information you post if it is not original content. Not only are you avoiding a plagiarism accusation, you are also building a relationship with the content originator. To quote OutboundEngine, “Hashtags started with a specific purpose – to be able to search for and find posts relevant to that topic.” Think of hashtags as labels in a filing system, they should only be used for broad topics relating to the content you are posting. 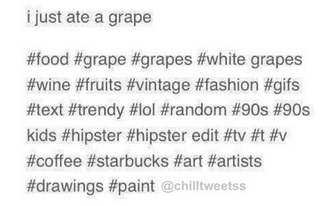 If you are developing your own, remember to keep hashtags short and memorable and to capitalize the first letter in each word to avoid your message being misread or spelling something you did not intend. Everything you post or comment shows your character both as a person and a professional. “…Between caches, internet archives, and users simply taking screenshots, it’s very, very hard to take back anything you say.” Make sure that topics you discuss are general (with a personal touch) or that your comments will not be viewed as offensive by your audience. Strive for positivity and empowerment in a world of harsh words and divisive conversation. 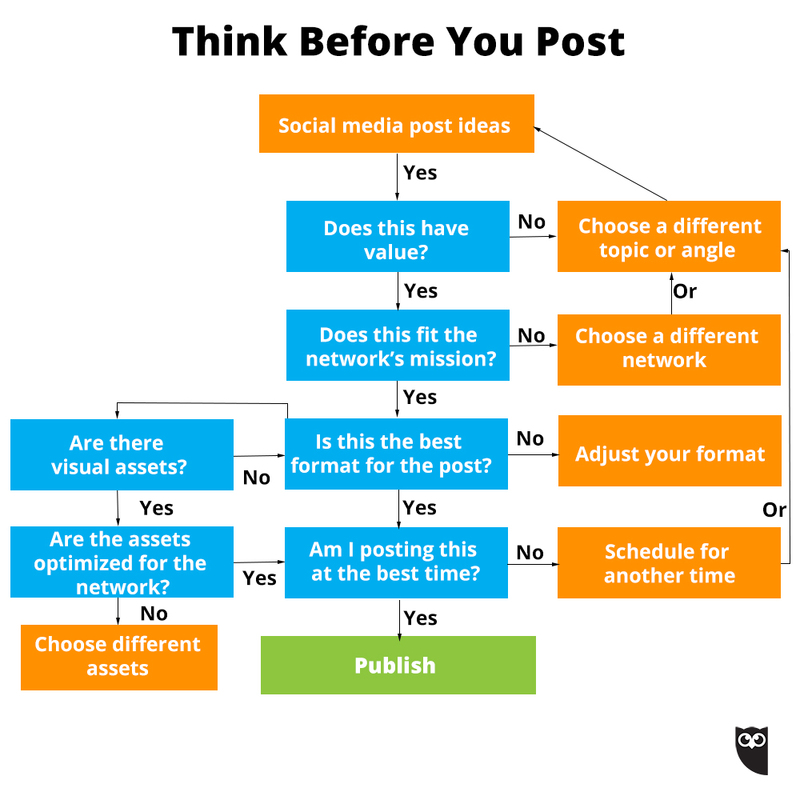 Hootsuite has developed a helpful flowchart for deciding what network to post to depending on the type of content. ← 4 Myths about Advertising: Debunked!